I don’t usually share too much of my personal, day-to-day information online. Today I’m going to make an exception. Why? Because I think it’s important to remember that we’re all human, we all have ups and downs and we all have great and awful times. My life isn’t much different than yours. I love reading. I love my family. I’m a total geek who loves food and playing with the grandbabies. I’m also SO happy that 2016 is almost over! I lost my job earlier this year. It was a horrible and completely unexpected situation. It was the first time in almost 20 years that I didn’t have a day job to fall back on and we almost lost everything. And I mean EVERYTHING. I was totally stressed and while I love writing, it doesn’t pay the bills, so a day job is important for my, and my family’s sanity. Also to celebrate the landing of a new day job, we are going to feast like there is no tomorrow. This is part of the plan. Ever had it? 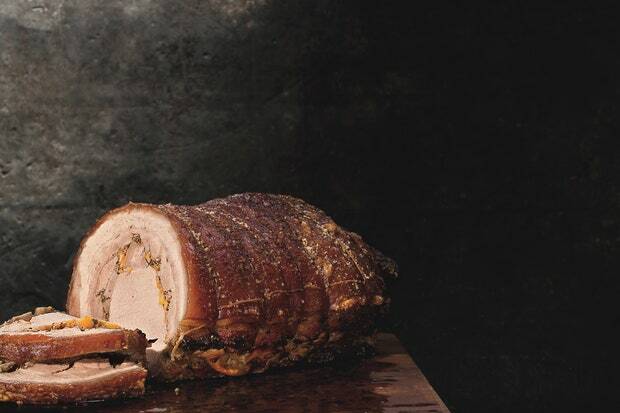 If so, share your favorite recipe for…PORCHETTA! Click the picture to hop to the recipe. Oh, and 2017, hurry up already.